Will a second Referendum provide greater certainty for business? Following the recent Salzburg summit where the EU rebuffed Theresa May’s Chequers Plan, business across the UK are grappling with the possibilities of Brexit, and what the UK’s departure from the EU will look like on a practical level. 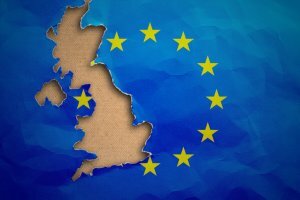 Whilst many SMEs, including participants in our recent Brexit survey, are approaching the break with a cautious optimism, they are also busy with contingency planning in the event of a no-deal scenario. What businesses and employees alike are craving is certainty and many are wondering whether a second referendum might provide them with that clarity on future plans. In fact, at our offices in OCO London, where more than half of our staff are Europeans, and from where we advise companies across the globe on their investment and export decisions, it’s a topic we’ve discussed at length. The question which we keep circling back to is whether a second referendum on the current options for Brexit would help our companies accelerate their decision making about expansions. The UK is familiar with referendums. In fact, since 1973 there have been eleven referendums held. Whilst the majority of them have been related to the issue of devolution, the first UK-wide referendum was held in 1975, and centered on the United Kingdom’s continued membership of the European Community (European Union). Today, the UK’s looming departure from the EU has many of us reviewing the June 2016 referendum outcome and considering whether a second referendum is a plausible option. With the Labour party choosing to debate the issue more openly at last week’s party conference, and the Tories split on both the form that Brexit may take, or indeed whether we should be exiting at all, neither of the UK’s major political parties has yet declared an allegiance to the populist notion of a People’s vote. However, in signing up to another ballot, they will be embarking upon a challenge as complex as the the negotiation itself. A second referendum is likely to be more politically charged, technically difficult and constitutionally complex. Nevertheless, how do the politicians go about turning this mooted possibility in a referendum reality? What exactly would a second referendum be asking the electorate? There are a variety of questions which could be posed, but the most topical issues which voters are debating are a) whether we want a Hard Brexit, b) whether we prefer Theresa May’s Brexit (a soft-ish Brexit), or c) whether indeed we want Brexit at all. Unlike the last Referendum which was a simple Yes/No (In or Out), the Electoral Commission must this time consider the possibility of posing a multiple choice question. Multi-option referendums are fraught with complexities, mainly because they very rarely result in one option achieving a majority share of the vote, and thus a clear cut directive. One possible option which constitutional experts have explored is two rounds of voting. For example, in round 1 asking the electorate the Deal or No Deal question; followed by a round 2 in which the majority option from Round 1 is posed against the Remain option. However, such scenarios, necessarily result in tactical voting and even great uncertainty. Consider how you would vote in such scenario if you were a Remainer. If a multi-choice question is on the cards, perhaps a more sensible and fairer approach is to adopt a preferential voting system in which the electorate votes for each option with a 1,2 or 3, i.e. in order of preference. Either way, determining the question to be asked is the first order of business, and unfortunately not particularly straightforward. Holding a referendum requires primary legislation, i.e. ratification of a Bill by the House of Commons and Lords to become an Act of Parliament. The UK has limited pre-determined legislation in place on how to hold referendum. As such, each time we go to the polls, an Act of Parliament for that vote has to be drafted and agreed. In addition to the exact wording of the question, and agreement on the system to count the votes (e.g. first past the post, preferential voting etc), there are additional factors which require approval before we can get to the ballot boxes. One particularly controversial factor will be securing agreement on exactly who is eligible to vote. Groups allowed to vote the last referendum included the parliamentary franchise (i.e. those of us who vote for MPs), the House of Lords, and citizens of Gibraltar. Controversially, EU nationals living in the UK and UK nationals living in the EU for more than 15 years were excluded, even though these were the 2 groups who arguably would be most affected by the outcome of the referendum. In a second referendum, it is likely that there will be significant pressure to include these groups. However, such a decision would no doubt cause controversy, with many Brexit supporters who argue that increasing the voter base in such a way is an attempt by Remainers to unfairly build up their support base. There is no simple answer, but perhaps the fairest option is to mirror the exact composition of the June 2016 electorate. Anything else risks delegitimizing a second referendum result. Finally, in running a second referendum, it is highly likely that we will need the EU’s support. The UK’s recent experience in running referendums highlights that the average time required from idea to implementation is roughly 6 months. The bill for the 2016 referendum in fact took far longer and was introduced 13 months before polling day. Such a timeline invariably means that we will have passed March 29th (departure day) before ever reaching the polls. So in the first instance, Mrs. May and co will need to seek approval from the EU to push back D-day by a minimum of at least 3 months. The date conundrum is further complicated by the fact that in May, the British electorate will be called upon to re-elect MEPs, a set of MEPs who may well never make it to the European Parliament in the event that we do actually leave. Although European leaders have given every indication that there would be no opposition to a request from the PM to delay our departure, as our recent Brexit SME survey shows, what businesses want more than anything is certainty, not prolonged debate. Business leaders for a second referendum, with only 7% against a second ballot. Regardless of whether you voted leave or remain, the 18 months since the first referendum have shown us all just how difficult Brexit has been to deliver. Opportunities and uncertainties exist in equal measure. Although remainers see a new vote as one way to end the uncertainty created since the first vote, a second referendum also puts the possibility of a no deal exit on the agenda. What is clear is that whilst all options are still in play, businesses are forced to plan for all eventualities, which only supports indecision and slows progress and growth. Although the recent referendums have exposed our societal divisions more conclusively than ever, perhaps a second one will provide business with a more decisive verdict on the direction of travel and allow us all to begin taking practical decisions about the future, whether that be one in the EU, out of it, or as closely aligned with it as possible.